BonkerZ presents 10 Comics for $15 Bucks. "Priceless Laughs, For Less Price!" Celebrating over 12 years of supplying the country with funny people. Join a wild bunch of 10 funny people from around the globe, for 75 mins of non-stop laughs, for a price that won't send you to the poor house. 2 Shows 7pm and 8:45pm. 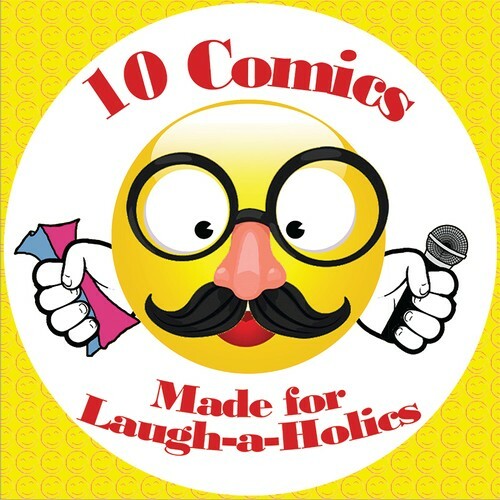 That's right, 10 Comics for $15 Bucks * (Door prices slightly higher). All advance seats are only $15 Bucks. What's that? You want to be placed in the Non-Pick on Section plus a drink of your choice to go with that and discount city parking at Centro Cinema Parking on Kent St? Just add another $10 Bucks. What?, You want Dinner, Drink, Show and discount city parking in the VIP Non pick on section? How about $50 Bucks for everything! Total!. WOW, $15 Comedy Show or a Show with Dinner, Drinks and Discount City Parking for only $50 Bucks in Sydney! We mentioned this to Ripley's Believe it or not, and even they didn't believe it :-),See some of the hottest or soon to be hottest, Pros, Semi-Pros and Rising Stars, from around the world. BonkerZ Comedy Club is located just 1 min from Townhall station and only minutes from your CBD Hotel! BonkerZ Comedy Club donates a percentage of each ticket sold, to the Fred Hollows Foundation. So far, with your help, we've donated over $2300. It's our 9th year of donating to Fred and we think it's worthy cause :-).